When we go to school or a lecture or seminar, we’re typically looking to find out what the teacher knows. And it’s rare for most of us to have a continuing relationship with a single teacher, unless you’re in an apprenticeship situation. We tend to think of teachers as people you get information from, not necessarily someone you mimic or have a relationship with (though it’s great when that does happen). These assumptions color how we respond to the Bible’s description of Jesus as Teacher or Rabbi (Matt. 19:16; John 1:38, for example). Being a student of this type of teacher goes beyond just listening to what he has to say. The relationship between a rabbi and their disciples, or talmidim in Hebrew, went deeper. Being taught in this sense isn’t just about taking in knowledge. It’s about changing who you are and how you think. We’re not just pulling this idea that disciples of Jesus should become like Him out of Jewish tradition. It comes straight out of the Bible. 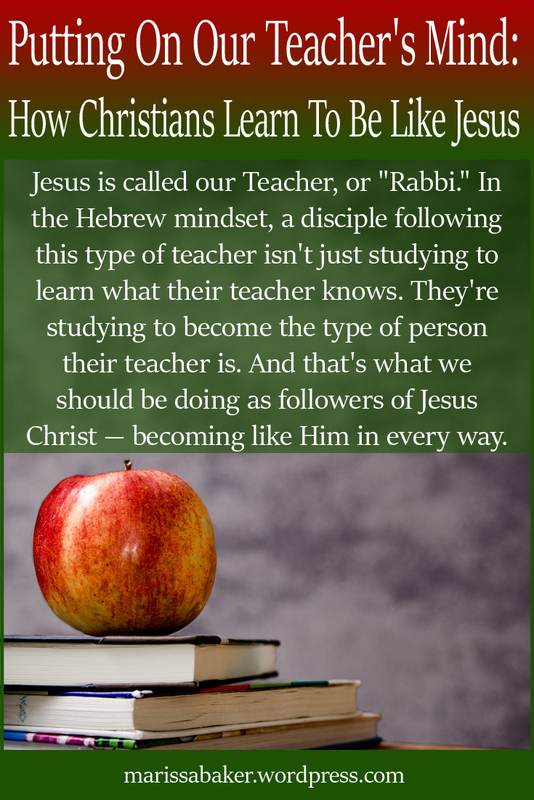 Jesus said, “A disciple is not above his teacher, but everyone when he is fully trained will be like his teacher” (Luke 6:40, WEB). That’s our goal — to become exactly like our Teacher. And while this title is usually applied to Christ, it also includes God the Father. 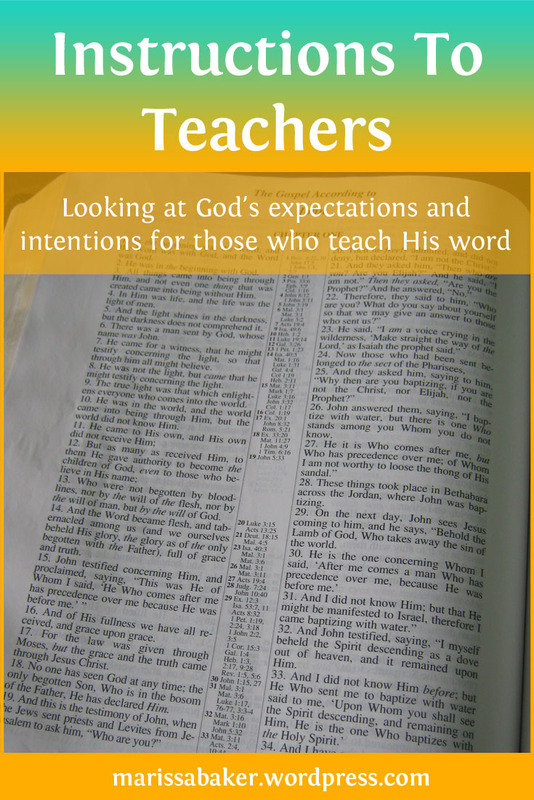 Both member of the God-family are closely involved with teaching us. And as we learn from them, we’re to become like them. The idea that we can become like God is so incredible it’s almost unbelievable, but that really is our ultimate goal (1 John 3:1-2). They mean for us to become part of their family and even share in their oneness (John 17:20-23). In his first letter to the Corinthians, Paul talks about how we need God’s spirit in us to learn the things God gives us. God’s truths don’t make sense to “the natural man … because they are spiritually discerned” (1 Cor. 2:9-15, WEB). We need God’s spirit to unlock our minds and transform them. And this process results in us developing “the mind of Christ” (1 Cor. 2:16, KJV). It’s finals week (or close to it) for many of the universities, so it seems a fitting time to talk about academics. Unless you’re just in school for the parties, most students want to succeed academically, and we can always use more tips for doing just that. Different study and learning techniques will work for different people with different personalities and learning styles, but there are a few ideas that work across the board. 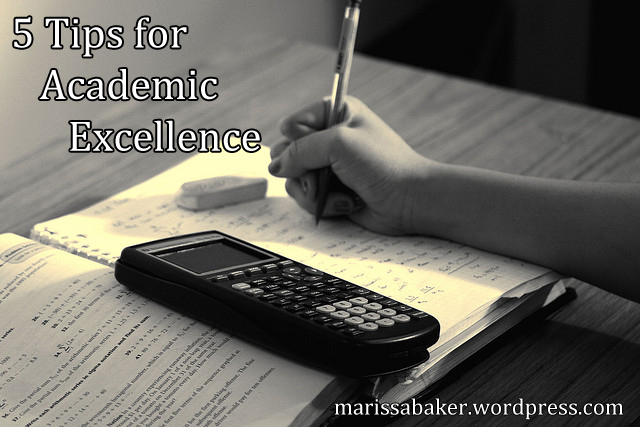 These are my top five tips for achieving academic excellence, which I used all the time when I was studying at The Ohio State University. Share what works (or worked) for you in the comments! I think some of the best advice I received was to study with the goal of understanding the ideas behind a subject instead of just memorizing specifics. Knowing facts and formulas can get you through a test, but if you understand why the fact is true then you’re more likely to get high scores. “B students” can answer questions; “A students” know why the answer is right (that’s not the only difference, but it’s an important one). With this method, you’re not cramming your head full of facts right before a test hoping you’ll pass — you’re studying the subject consistently, trying to really understand and learn it. 2) Take notes by hand. There’s something about the act of writing things down that helps it stick in your mind. When I was in school, I’d take notes in lectures, while reading textbooks, and as a study aid when preparing for tests – especially for the subjects I struggled with. This is partly because my primary learning style is “Read/Write,” but psychology studies indicate that it’s true for most, if not all, students. Students who take longhand notes do better on exams and have more accurate long-term recall of facts and concepts than students who take notes on their laptops. If you’re studying something you love, this isn’t so much of an issue, but for something you’re not passionate about your mind will start to wander. I had to discipline myself to sit down and study for a certain amount of time, then take a walk or work on something else for a few minutes before going back. You might think it makes sense to stay up late cramming for an exam or get a few extra hours of study in, but it may actually do more harm than good. Second, during the night, various sleep cycles play a role in “consolidating” memories in the mind. If you don’t get enough sleep, you won’t be able to remember what you learned and experienced during the day (WebMD). On WebMD’s list of 10 effects from lack of sleep, it lists forgetfulness, impaired judgement, and lower cognitive abilities — none of which is good for academic excellence. Know how many hours of sleep you need on a regular basis, and make sure you get it. When I was in college, it helped me to get to know the professor a little. Some are happiest if you answer questions in a precise way, others will encourage more creativity in assignments. Knowing what they expect of you, and planning your responses accordingly, helps ensure higher grades. And it’s not just about improving grades — some of my most valued connections during my time at university were with faculty members.